More horror stories of bad experiences with building code officials. “He [Brian Black, the new director of Riverside County Code Enforcement (RCCE)] said that they would look into the issue and remove abusive personnel. Don Williams took him up on that notion believing that he would help him. They met in Black’s office this June to discuss Don’s case and to see what could be done to get his home building project (over 7 years in the process) on the right track to compliance in the county’s eyes. As per Don, Mr. Black asked him to allow his inspector onto the property to see what was needed to accomplish the goal of compliance. Don agreed and allowed two RCCE officers to inspect his nearly finished home. Don said they walked around and took a lot of pictures. “The officers said that I would have to tear it down to the studs and start over so it could be properly inspected,” said Don. According to Don, the officers then went off the property to the dirt road and conversed among themselves. He said when they came back they condemned and tagged the structure with a “DANGER: Do Not Enter or Occupy” sign, and had the electric company pull the electric service meter completely from the property. At the time, Don was not provided verbal or any written reasons for the radical decisions made. As Don tells it he still has not received notification clarifying the matter. It was the combined frustration of so many stories of improper handling of citizens by the RCCE that prompted Anza area citizens, Don Williams, Robyn Garrison, and Mike Machado to work together to plan Sunday’s Town Hall Meeting. “The meeting was a great success. It is estimated that between 360 and 500 people attended. There were also people from as far away as Diamond Bar, Los Angeles, and even Victorville,” said Machado. Together they hoped to educate the public on what can be done when citizens are approached and or cited by the RCCE. “I’ve been a contractor for 38 years and always wanted to build my wife and myself a dream house, our children are all grown. We have scrimped and saved all our adult lives to accomplish this dream. We sold our old house about 7 years ago and decided to build a house the way that we wanted it, a lifetime dream coming true, we were so excited about being able to do this. Finding just the right property to spend the rest of our lives together on. Code enforcement came by and wrote our building up as junk and trash. I went to see my supervisor from the County of San Bernardino (Paul Biane) and was told that I wouldn’t be able to talk to him as it was none of the county supervisors business to deal with code enforcement. During the 6 mo extension, the economy went into a recession. I went back to planning and tried to get another 6 mo’s extension and was told that I wasn’t able to get one. I was told that I would have to buy another permit for $1,875.00 and go through the process all over if I wanted to put our building up. Shortly after that, I received a Citation to pay a fine ($400.00) for Junk and trash(our building). I didn’t get to talk to a judge, have a hearing, or have due process. I thought that my Constitution guarantees me of this. A month later my fine is ($600.00). Doesn’t this sound like extortion? I live in the country. I only have (1) neighbor that’s close to me, over a 1,000 ft away. We have observed a pattern of Racketeering involving corrupt code enforcement actions, following various illegal conduct such as strategic: (1) dumping of waste on the target property; (2) mysterious fires set on the target property; (3) repeated and frequent trespassing by squatters sometimes residing without permission and engaging in illegal activities on the target property; (4) vandalism and theft on the target property; (5) this racketeering conduct is followed by anonymous complaints made to municipal authorities by the parties seeking to cheaply acquire the target property; complaints typically leading to corrupt municipal code compliance actions where either (a) violations such as illegal modifications, making repairs without permits have been invented by the code officer and/or (b) the code officer refuses to admit to or acknowledge the property owners diligent attempts to bring the property into compliance. systematic and pervasive misuse of State and Municipal Authority by Corrupt Code Enforcement Officials specifically targeting senior, elderly and or disabled individuals for the purpose of depriving them of their real property. San Bernardino has transferred many of its “specially trained” code enforcement personnel to other Cities such as Carlsbad and other San Diego County Municipalities. The term Racketeering refers to crimes committed through extortion or coercion. in Riverside and San Diego Counties, resulting in a Court Appointed receiver entitled to sell the target property, typically, but not always, Court Appointed Receiver G.S. Strategies Inc.
Once our victim list has been compiled, each victim will be personally interviewed and their testimony will be incorporated in a persuasive and evidentially supported : Criminal Complaint and Demand for Prosecution, to be send concurrently to: the U.S. Attorney for our District ROBERT S. BREWER, JR.; and also to the Criminal Law Division of the Financial Fraud and Special Prosecutions Unit of the State of California Attorney General; XAVIER BECERRA. WORKING TOGETHER we may be able to get relief from this increasingly common racketeering practice. So if you think any of the above described Pattern of Racketeering applies to you and you would like your case to be included in our complaint, please contact us ASAP by email at koldesigns@yahoo.com WITH THE SUBJECT LINE: RICO VICTIM, and provide us with same way to contact you and with some details of your personal story. Unfortunately the authorities have the upper hand in your situation, as they generate and enforce the rules. Every jurisdiction has its own rules, so there is no general reaction to your situation that will allow your building to remain legally. I suggest that you either cordially communicate with the authorities to see if there is any work-around, or that you get some advice of another person who is knowledgeable with the local laws. Can you direct me to someone that can represent me in San Bernardino CA? Another person put his personal posesions next and some on my property. responsible for his things bein on my property. Your help on this matter will be greatly apreciated. We live in the rural area of Aguanga Ca. We bought the property 12 yrs ago with the structures that are on it today. Two mobile homes, a manufactured home and a four car garage. One of the tenants stopped paying the rent and called code enforcement to try to say property was inhabitable. He was not successful in getting the code enforcement to claim uninhabitable . But the CE came out and now we are getting a violation for unpermitted buildings. We have to tear down our 4 car garage and our two mobile homes. Our property value will go down lower than what we owe plus we don’t have the money to tear down all these buildings. Again we bought the property like this over 15 yrs ago. My husband says he is not tearing down anything. he will not comply to them. what can they do to us? I know we can never sell the property to a third party, but can they come in demolish the properties them self? or can they sue us? is there anything we can do to save our property? So sorry to hear this. You might want to hire a lawyer for professional advice. From my experience they can and probably will hire a contractor to tear everything down, haul it away, and then bill you and probably add fines. They can also take the property if you don’t pay. In my opinion, what they’re doing has very little if anything to do with “health and safety”. It’s about the money and controlling people. need help fighting Torrance (zip 90503) City Code tyranny abuse targeting senior with multiple disabilities retired since 2006.. 10 years 10’s thousands to attorneys (who always seem to flip to city side leaving me defenseless (keeping “graces” with city abandoning leaving defenseless client, denying client demand to testify in own behalf, present evidence photos, emails, witnesses to inspections where inspector state property is in compliance then in court testifies opposite Pub Dfndr denied presenting my evidence: testimony docs emails photos to expose perjury by city inspector) – I filed State Bar and appeal actions which due to using Public Defender went off in left field not even related to issues listed in my submission) Who system is corrupt including Judge AB Honeycutt who did on record in court against protocol did flawed investigation and was untouchable upon appeal I filed as appointed appeals attorney filed a story which had no bearing on case nor issues called out in my submission so I lost.. same with So Bay Bar Assn= LM Manning prosecutor (failed to report to court Judge ruled I must act in own behalf after prior ruling I could not! he denied all my motions then realized he’d ruled I could not represent self in last appearance weeks earlier) I filed appeal & SBBA no defense denial my evidence photos testimony to refute perjured Inspector testimony and SBBA found no wrong doing?!! Thurs Aug 10 2017 10 am. I am disallowed to store rain water in capped 5 gallon jugs, disallowed to place tarps over anything in my yard even the ones to block wind rain sun on my back porch patio cover citing promotes vermin harborage, I am disallowed to store anything in my back yard enclosed by 5′ blockwall, I as disallowed to have washer dryer in my garage where it’s been for over 50 years.. (neighbors are also there but they do not get cited, just me?) I am not allowed to store anything INSIDE house in cardboard boxes citing fire hazard!!?? My 10 fire (both ionization & photo) CO detectors were insufficient per last inspection? and a laundry list of bizzare crazy alleged violations .. how is it city can invade my privacy and inspect inside house? I’ve live here since Apr 1974. I am disallowed to place tarps over items in back yard to prevent wind, water & sun damage!! ? Life Liberty & Pursuit of Happiness is a foreign concept to this city. I served 3 year active duty US Military Service with distinction having been drafted in 1966. I’m sorry to hear of your problems. This proves how gov agencies tend to demand more and more power and larger budgets over time. They NEED to penalize people to justify their budgets. It’s a bad trend to say the least. You’re dealing with a type of organized mafia. There’s only so much you can do. Sometimes you have to know when to walk away. Create a new life elsewhere and just forget about this. Life is too short. Camera and recordings are your best friend. Then you have to take it above the city level to the FBI and get an in person meeting with your congressmen and Senators. Also the Governor will help. If they have denied you any administrative hearings, file a lawsuit yourself to the circuit court. Go on the attack. It is the only way to get a bully to back off. When will my friends suffer the anger and frustration of eventually falling victim to the abuse of a local code enforcement officer. Because I’m in real estate my exposure to code enforcement is a constant source of frustration and the problem is growing. Because of this heighten awareness of the widespread abuse of local code enforcement, I see the problem more pressing matter that requires a solution. I’ve have fallen victim to these power-hungry bureaucrats three times over the past few years and it’s time to do something about it. Let me know if anyone knows of an organization that is getting some traction with this matter. Thanks for sharing. What you’re experiencing is a bad and seemingly growing problem. As I keep saying, that’s the nature of bureaucracies. They tend to keep growing and growing. More rules means they need more code officials and higher budgets, and on and on it goes. In this case it’s particularly hard to stop because numerous parties have a vested interest in maintaining the status quo (= most people with lots of money). I don’t know who you can turn to. The Development Center for Appropriate Technology may have ideas. Institute for Justice has prevailed in some cases, http://www.ij.org . Many cases being decided in the courts. Too many to list. I post many cases on my FB, at least those that are brought to my attention. HELP..CODE ENFORCEMENT IS ON ME BIG TIME. DO YOU HAVE, OR KNOW OF, ANY ATTORNEYS WHO FIGHT THEM?? PLEASE RESPOND TO cjomar78@gmail.com as I have no computer and Carol will bring me your replies. When your San Diego Say hi to The Deputy City Attorney Goon Squad NCCD Reps. They will turn your Grand Fathered in Property rights upside down and have you arrested Even though it was approved in writing 10 times in 40 years.On City letter head records they are hiding After 3 years of wasting tax payers $ then they get sued oh no. I am also in San Diego and have Deputy City attorney Miller lying his head off in court. The papers they filed are also full of lies. Do you have any resources or an attorney that will fight them without charging an arm and a leg? I hope you are still responding to this site. They even denied me the right to an Administrative hearing, never have followed the process of identifying issues, notifying me of the issue, along reinspection. If there were any years ago with any re-inspection, they never notified me of any continued problem with that issue, nor did they ever fine me. Instead they started demanding access inside the dwelling. With those incursions, they never ONCE gave a list of what was to be fixed. They had the audacity to try to put it on me to figure out what was needed, demanding to know what I had done? When the list of what was needed was again requested, they would say they would supply it, but they never did. THEN they would want access at some point possibly even a year or more later, all without ever stating exactly what was needed. Then in 2016 they demanded entrance again, bullying their way inside. At that point they stated they had the write-up but were verifying it. They did a very poor job of identifying problems at this residence. Most of what they listed was vague or was even about a different property. But without ever going to court, they slandered title by filing that document with the county, claiming the property was a nuisance property. Remember, this was all without EVER identifying the issues specifically in writing ahead of the doc they filed wiht the county. Per the CA regulations, that filing was to be done only after getting a COURT ORDER. And on the city web site, that is supposedly an action that is not considered an urgent matter. Yet they in April of 2017 decided they were going to attempt to take the property via a receivership. They had new items in the batch this time that had never been seen. They are claiming health and safety issues, both on the slandering of title, and now on the receivership. You would not believe the number of lies that are present in their filing, yet the court is committing judicial error by the presumption that the city does not take such a filing lightly. Well, they never followed ANY of the Code Compliance procedures at all. In all my years in this house, I have NEVER had a VALID fine to pay from code enforcement. The interesting thing is that the year before they apparently are claiming all these issues tie in to, the city tried to force me to allow a neighbor to have the view over my property that is not a legal RIGHT of that property owner. There is no HOA or other agreement on shrubbery versus views. I need help to fight these abuses. The city has corruption in code enforcement from what I am seeing, and it may extend into the city attorney’s office. I live in San Bernardino county desert as well (Joshua Tree). I have a five acre parcel with no neighbors. There are no houses or utilities within 1/4 mile of me. Yet I cannot get a building permit, even for a storage shed, unless I connect to public water and electric. The cost? $60,000 for water alone (my property is appraised at around the same price). If thats not the definition of a “racket”, I don’t know what is. The question I want to ask is abit in the extreme, but if the county officials have been acting illegaly, why hasn’t anyone gone “postal on them before now”. Or do these officials only pick on people the y think they can bully. Just Asking. That’s anyone’s guess. I suspect most people don’t want to lose their money, their home and go to jail. As much pain and suffering that they go through, common sense stops them from doing something crazy. That said, bureaucrats are walking a fine line. You’ve heard the saying “When people have nothing else to lose, they lose it.” Some people do go postal. My name is Paul Wesley spearman III. I am mentally disabled living on SSI disability for last 19 years. I have been made homeless dead of winter in mountains again. I own my own property had a mobile on it but someone burned it down last August while I was homeless because of a code compliance officer who has a problem with me he had red tagged my house which wasn’t part of the violations I was fixing, but he did it because we had a verbal dispute and I called him some ugly names.so next day came with paperwork to red tag my home which wasnt part of violations .I had fixed all them but one that was a trailer that someone abanded on dirt road front my place.so anyways he red tags my house has sheriff’s tell me and my cousin a decorated veteran we gotta get out in 24 hours. It was just before Christmas it was 19 degrees at night here.so my cousin went to VA housing I went homeless had to suicide by cop attempts went thru hell by summer I was doing better staying in town with friend then got news my place was burned down in August oh and I have been severely fined by code compliance 9 thousand dollars so it’s been extra hard to stay alive paying off these fines.then Jacob Clayton the code compliance officer immediately is on me to clean my burned down house up I tried had some help but didn’t meet his deadline so he came bulldozed my last two structures on my property tore up my waterlines by BC accident again.i will be billed another 8 thousand dollars for this one.so I been staying with a friend in a RV on his property while i been trying to get my property ready this trailer that was donated to me and well Jacob found out where I’m staying and hit my friend with code violations so I’m back on the f####;’ streets again it just snowed again .so I guess Kern county code compliance is not part of your intraagency program on homelessness. Well I was successful one time suicide I was dead for 8 minutes then EMTs somehow revived me. I wonder will they be as Lucky again.o r this go postal ? Got the same issue here in San Diego with code enforcement taking sides when all I have is a tiny trailer in my own land . Forced to move with no home and no where to go . You hit the nail on the head. They do these indiscreet meet and greets to find out who they can target next. Usually widows, divorcées and elderly. This way they can say the Widow is distraught with great, the divorcee is bitter, and the elderly are senile. or they will die before they could fight back. I MUST be very blunt. After listening to this gentleman and reading the article….I’m VERY pissed and this is a crystal clear view of government extortion. How Un-American and pure pathetic. EXTORTION simple as that! How has our country become so thuggish today? Money and greed. Unbelievable. I see Doc why you got out. More and more Americans are leaving and the reasons start at the Whitehouse down to local government. This is a perfect example. What’s most concerning to me is this type of behavior seems to be spreading. Corruption has always been around. Now it’s growing out of control. Just one example is the NSA story brought to light by whistleblower Edward Snowden. The government is saving all Verizon phone data (and almost certainly all other phone company’s data as well) in a massive data center in Utah. They’re saving records of all emails, all forum discussions, all online searches, etc. etc. etc. No government in history has ever done this. These actions are clearly unconstitutional and immoral. You’re 100% right. It IS UN-Constitutional and 1984 IS here. The main problem as I see it is two fold. One we have a corrupt government and it’s broken. Two this government allows our enemies into the country who by their very belief system will never be something you can ever trust. I’ve read their demonic book and when you consider that this is the book they’re required to know by heart and to believe every word and instruction; they will never assimilate to western lifestyle and belief. The government starting with this so-called President along with his Justice Department head and his dumber than dirt Vice President……it’s a big mess and they should never question why millions of Americans don’t like or trust them. They’re trying to do away with the 2nd Amendment and Homeland Security has been buying up all the ammo that there’s empty shelves all across America. This IS telling Americans something is up. I truly believe that our monetary system is about to collapse and that’s what they’re getting ready for. I’d love to be wrong but, all the indicators are pointing to that very real possibility. The Kingdom is about to fall thanks to the politicians. They’re will be no place for them to hide unless they plan to live in a bunker for the rest of their lives. Americans will be angry and deranged. well, let’s hope enough people wake up, speak out and take peaceful action before it’s too late. I have to disagree with you on one point. It’s that peaceful approach that’s got us to this point in the first place. Trying to be nice and get along is just another way for “them” to step on us and our rights. People in high government just like these sub humans demanding money and more money in this blog post see everything as just business disregarding the people. Money grubbing business. It was the previous President that created and implemented the rules to allow the NSA to collect every American’s data and spy on Americans. That and his Republican Controlled Congress. Anyone who decides to go along with or try to work with the current bureaucratic system becomes vulnerable to that system. These giant bureaucracies will continue growing ever larger in size and always demand more and more money. You never know when they’ll slap on giant new fees and taxes. Think ahead before becoming part of this. Wouldn’t you rather live in a rural area with few or no codes, 1/100th the red tape and drastically lower prices? This guy is screwed no matter what. Detroit is no longer a democracy. He cannot even vote to change his local government any longer. Detroit citizens no longer have any say in how their local government operates. That is nearly a dictionary definition of dictatorship. You couldn’t pay me enough money to open a business anywhere in Michigan right now. I certainly wouldn’t want to live under that kind of dictatorship. I won’t say much about whether the guy in the video has a legal case or not, because I’ve only heard his side of the story. However, I’m not shocked that it’s happening in Detroit. Yeah, Detroit is a cesspit. Pretty much unlivable, really. Maybe you’ve watched those YouTube videos about abandoned buildings in Detroit? They’re really shocking because they show just how far Detroit (and the US) has fallen. What about northern Michigan as a potential homesteading site? I’ve heard some good things in the past. Maybe things have changed too much now. I wouldn’t recommend anyone move to anywhere in Michigan. Their government is simply too oppressive. The Governor has the right to declare an “emergency” and override locally elected government authority. The takeovers have consistently resulted in local citizens’ rights getting trampled, and the civic debt ballooning further out of control than it has ever been. Local citizens have no rights. but the State dictators passed a new dictatorship law to replace it. This time they used loopholes to pass a law that cannot be repealed by the voters. Michigan is not a place I would recommend anyone move to or start a business. The States of Indiana, Ohio, and Wisconsin all now have essentially the same State ordered dictatorship laws. Locally elected governments can be taken over by the State and rendered powerless. Anyone that values freedom should be appalled. It’s all a political power grab. So let’s see if I have this right. Governments create lots of bureaucracies that all grow in size until they’re no longer affordable. This breaks the budget and then the state passes draconian laws to strip people of their rights and take total control. This means the government created the whole problem. They created the bureaucracies that broke the budget and now they’re claiming dictatorial powers. Is this basically correct? This is eerily similar to Agenda 21 that some predict will drive people into the cities and clear out the heartland of the US. I’d say your first paragraph is largely correct, but not entirely. The issue is more complex than you are describing. There are other forces involved. It’s not only about Government bureaucracies, although that is a very important factor. The corporate influence is probably a bigger factor than governmental. Those that stand to gain billions are pulling the strings. They lobby the government to get laws passed that they want, that will maximize their profits by FORCING average citizens to pay much more money for their homes than they really are worth. The International Code Commission, the most predominant code writing authority, is not a government entity. It is a private entity. It is effectively controlled by big corporate interests. Oh sure, they claim to listen to local concerns, but they really do not. Too many stories are out there of the ICC ignoring the concerns of local communities. Then the big corporations scare up big media campaigns to frighten people whenever there is some catastrophe. If there is a fire, they make sure the media attacks someone for not following building code. Never mind that the building was probably 95% in compliance and was made out of matchsticks and toxic plastics that outgas poisonous smoke during a fire, just like practically every other structure that does pass code. Never mind that it’s roof trusses were built with stamped pressed on metal gusset plates which have been proven to be the most hazardous type of truss connection during a fire. The moment even a small amount of heat hits those metal gussets, the heat gets quickly transmitted into all those little stab wounds in the matchstick and char the surface of the wood. It’s not the wood that fails on a truss in a fire, but the ability for the metal gusset plate to hang on to the wood once the surface gets charred. Of course, all the evidence of this fact gets destroyed when the roof collapses and burns up all the wood. Notice during the slow motion where the truss failed. AT THE CONNECTIONS. Thanks to building code, these trusses are what hold up the roof of the vast majority of houses. Why? Because they can be built very fast and very cheap, and can be sold for high profits. Firefighters have been asking the ICC to change the rules on metal gusset plate roof trusses for years. The ICC ignores them. Why? Clearly the ICC is not a safety organization, but a profit generating organization for Building Materials Manufacturers and Suppliers, and Contractors. There are also socio-political factors. I’m not talking governmental politics necessarily, but social. The building codes are a very powerful tool that get used and abused to enforced social status. A lower income than the rest of the neighborhood. A different religion than the rest of the neighborhood. A different race than the rest of the neighborhood. A house design that does not generate enough profit for the local contractors/suppliers. An owner that has not offered a bribe or a big enough bribe to the codes department. Yes, governmental overreach is part of the problem, but restricting the debate to that issue ignores many of the real root causes. It ignores the forces that are influencing the government in the first place. Yes, I know large corporations are part of the story. But I try to keep blog posts a reasonable length instead of trying to cover all the different angles. That’s what the Comments section is for. That’s a good video about testing trusses versus stick built trusses. I wonder how much longer the trusses would last with staples or nails through the gusset plates? Also note how a lot of expensive homes use timber trusses. Obviously it’s not just for looks. First off, Nails or Staples through the standard gusset plates would be a code violation. In my opinion, it wouldn’t help. If someone is going to use manufactured trusses, I recommend that they wrap the trusses in fireblocking insulation, especially around the gusset plates. Something like Rockwool wrapped around (skipping the nailing surface for the ceiling and the roof sheathing.) Wire it on with metal bailing wire to keep it in place. Then slather it with a coat of cement mortar or earthen plaster. That would protect the gusset plates. This assumes that the trusses will be hidden in an attic and not part of the visual inside the house. If they will be visible, I doubt anyone will be using the perforated metal gussets because they’re so ugly. This may seem unimportant to some. They figure if the fire is blazing that hot, everyone’s dead already. That’s not usually true. Many electrical fires start in attics from overheated pot lights, or from leaky chimneys or appliance flues. My point isn’t to rant trying to get the code changed, but to illustrate how inept the process is. It really isn’t about safety. It’s about profits. When safety cuts into profits, profits win in the code consistently. I’d much rather build it myself using materials that are unlikely to burn or put out toxic smoke in the first place. The codes make that as difficult to do as possible. No profit for the fat cats. Years ago (35 years?) I saw trusses made with the gussets stapled in place. Maybe the gussets were larger so the staples were not so close to the end of the boards or maybe they changed the code since then. But the main point is like you say — it’s largely about maximizing profits for big corps. If anyone doubts this then all they have to do is stop and think about why manufactured houses/trailer houses meet code. I’ve written blog posts about this because it clearly exposes the code process as a giant fraud. If building codes/code officials were really serious about fire safety — I mean really, really concerned as if lives were truly on the line (which they are) — they would require a much higher level of construction than current match stick houses filled with plastics and wafer board. Anyone at all capable of rational thought should be able to realize the system is a bad joke. Note: by “much higher level of construction” I’m talking about nonflammable building materials such as plastered earthbags. Or even better, how about reducing the codes to a tiny 20-50 page guide of performance codes in common English and do away with prescriptive codes? Or even better, just get rid of codes completely and go back to good old common sense. That’s how people build in my area. People can build whatever they want without codes or permits. There are almost never any house fires. The main ‘code’ is using nonflammable materials in the city. Asking me to remember stapled on Gusset plates from 35 years ago? I think I kinda remember something along those lines that never really became popular. Mainly because, as I recall, too many people didn’t use enough staples and the plates wouldn’t stay on, even without a fire, just under normal loads. Total cluster@#$k. I’m with you on the round timbers. Mother Nature figured out a long time ago how to make a strong structure out of wood. A round tree. Performance based building codes. Wouldn’t that be awesome? Of course… then the corporations would simply change their tactics and take control of the performance testing tools, methods, people, and still get their crap approved. They’d also find an excuse to charge 10 times as much to test a DIY Naturally built structure as opposed to a crappy stick built, toxic fume producing death trap. Kinda like how Weyerhaeuser has taken control of the construction lumber grading system. Some may not be interested in topics like this. But for me it’s important to expose this corruption so we as a society can rebuild something more ethical and sustainable. A fair system would allow small sawmills to thrive and provide affordable products locally instead of shipping things for hundreds or thousands of miles and going through a series of middlemen that jacks up prices. This is largely about the furniture, and the drapery fabrics, but also about construction. I think this is an important consideration especially building in areas with few or no building codes. These areas are often more rural, with longer wait times before fire fighters can arrive. It just makes sense to furnish your house with less synthetic fabrics and no urethane foam paddings, which are like gasoline in a fire. 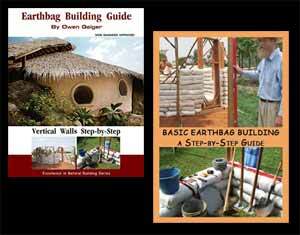 Natural Building makes sense on what you put inside a structure as well as what the structure is built out of.